Eye-catching drop earrings, with moving flower shaped ornaments in a mat gold toned finish with a small crystal set in the flowers. 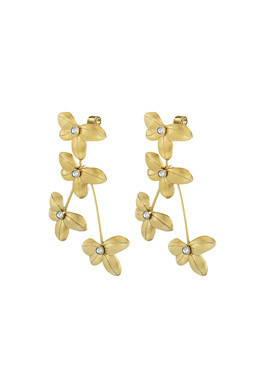 The earrings will definitely bring a lot of glow and sparkle to your outfit. Studded and with a butterfly closure.